This is the latest edition in this increasingly popular series - offering unrestricted access to the spectacular West Yorkshire countryside. It presents pushchair-friendly routes - having a baby or small children needn't get in the way of your enjoyment of walking, and of course keeping fit. It offers a wide choice - woodland, moorland, canals, parks, and even some walks with a train journey in the middle! 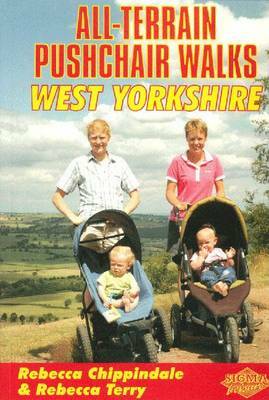 This title includes spectacular countryside - around the major West Yorkshire towns of Keighley, Bradford, Leeds, Halifax, Huddersfield, and Wakefield. The family attractions are - Harewood House, Kirklees Light Railway, Ilkley Moor, Hardcastle Crags, Hebden Bridge, and even a 'Last of the Summer Wine' tour around Holmfirth. These are great walks for all the family - detailed information on the terrain, level of difficulty, refreshment and toilet/changing facilities, together with detailed maps and route directions.